A great storm is raging in the spirit world, and as the rains continue to pour, the River Styx begins to overflow. Everyone does their best to keep the river contained, but it quickly overwhelms them, and it becomes all too clear that this is no ordinary storm. Luckily, Koenma recognizes this just in time to summon Botan. He slips her a mysterious item, and instructs her to journey into human world in order to warn Yusuke and the gang and give them the mysterious item. As soon as she takes off, Koenma is swallowed by currents, and sadly, Botan is the only one that is able to make it out of spirit world before the waters cover everything in sight, but at least that means there's still hope for the spirit world. On Earth, Botan arrives in pretty bad shape. She falls unconscious into Yusuke's arms pretty much as soon as she arrives, and is unable to tell him what happened or give him the mysterious item. 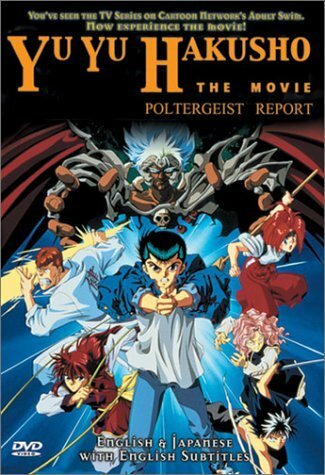 Still, it's not long before they discover that the forces of the netherworld are behind this cataclysm, and they quickly devise a plan to find five spots on Earth which contain enormous amounts of spirit energy (and how convenient that they're all located in Tokyo, Japan), and use that energy to restore the spirit world. What the gang doesn't count on is that the bad guys are also tracking down the spiritual spots to release the energy, and that they have a way to convert it all to netherworld energy! They discover this just as they reach the first energy point, and must now make the decision to split up in the hopes of preventing the other four energy points from behind overtaken by the netherworld's power! 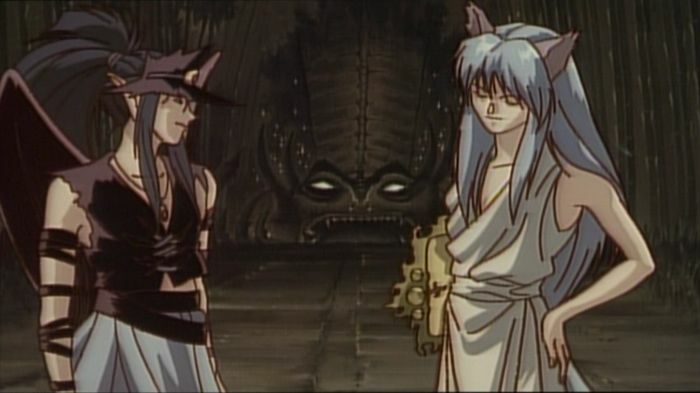 First up is Yusuke and Hinageshi, who go after the elemental site of fire. Yusuke makes quick work of the netherworld demons who are already there, up until he has to go toe-to-toe with Yakumo, king of the netherworld, who ends up taking Yusuke to town without even breaking a sweat. After that defeat, Kuwahara then meets Majari, one of the three demon gods of the netherworld, who can copy anyone's spiritual moves. 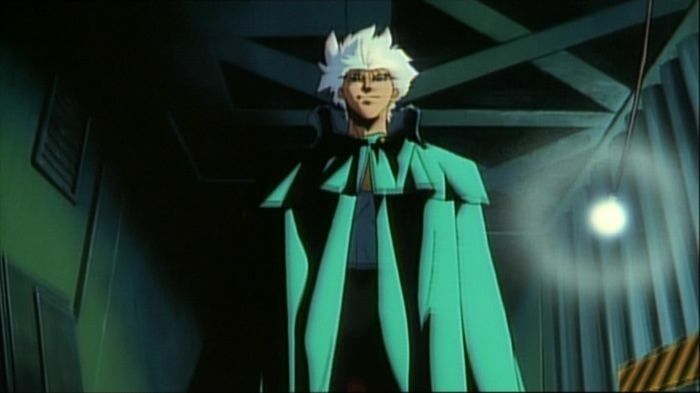 And since Kuwahara is the weakest fighter of the group, it doesn't really look like his battle for the energy spot is going to pan out in his favor. Meanwhile, Hiei quickly dispatches a couple of flying demons that attack, before being knocked silly by some ugly guy who also looks to have a third eye on his forehead. Kurama, on the other hand, looks like he's going to succeed in securing his elemental site, when someone from his far past appears and destroys it, thus releasing all it's energy. 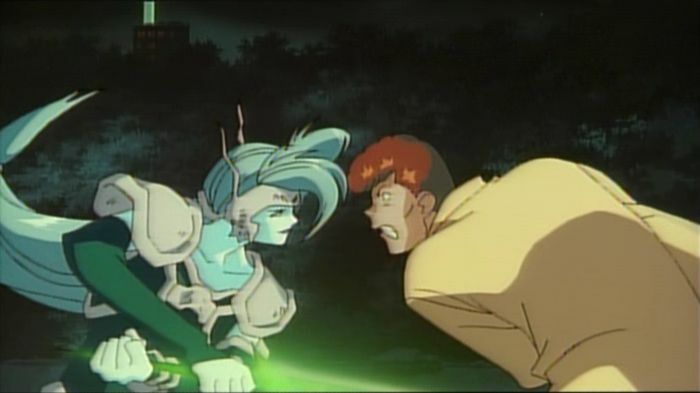 Back over at the Kuwahara/Majari duel, Kuwahara pulls off a clever strategy giving him a fighting chance! But win or lose, we all know that the elemental site is still going to somehow be released of it's energy by the netherworld. I mean, it wouldn't be that exciting of a movie if it didn't end up looking like there was no hope at all for our heros! 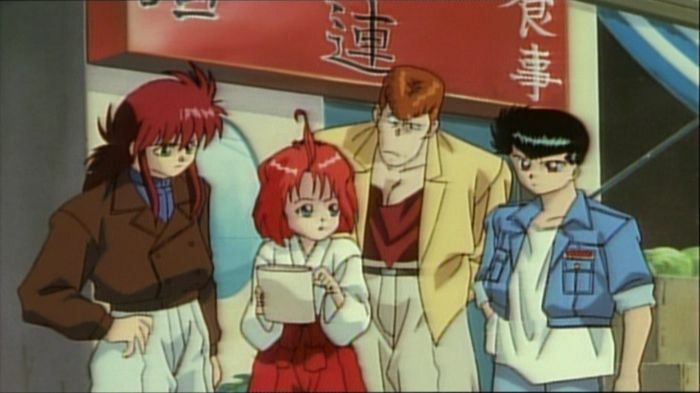 Fans of the English version television show will notice that all the characters have different voice actors, which is because this movie was dubbed and released by U.S. Manga Corp. before the television show was picked up for a US release. After watching the entire US run of the television series, I have to say that listening to these new voices just doesn't feel right. Luckily the DVD release has both the English dialog and the original Japanese language track with optional English subtitles. And this does feel like a full-blown movie too, not just some extended episode or some made-for-video movie. The animation is much improved from the TV series, though it's still nothing that hasn't been seen before in countless other anime films. Also, you're expected to already be a fan of the series, so there isn't much character development at all. If you're not a fan, it'd be best to check out the TV series first. Once you've spent time with all of these characters and have really gotten to know all their quirks and personalities, then journey back towards this movie and check out their adventure.